Our highly trained stylists are up to date with the latest trends and techniques in cutting and styling. Our hairstylists are experienced with all hair types and will assist you in finding the perfect style that will compliment your unique look. 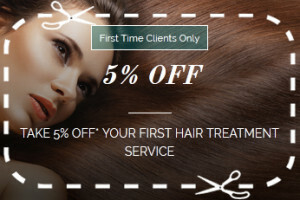 All haircuts are performed in our salon.